We offer great value self-drive breaks to the world's premier tennis tournament. Where you will enjoy the great action on court, watching the Junior and Senior matches on No.1 Court. So, If you are a tennis fan, Wimbledon self-drive breaks is a great and unforgettable experience, that can also be combined with a visit to other attractions and sights in London. 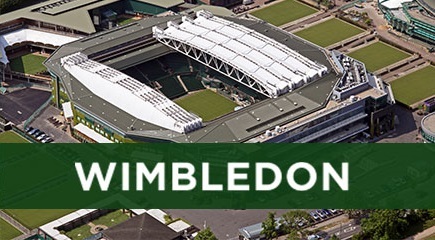 Wimbledon is a popular event that usually takes place between end of June to July and is a big hit with fans every year, so it is advised to book your break early to avoid missing out on the best deals.